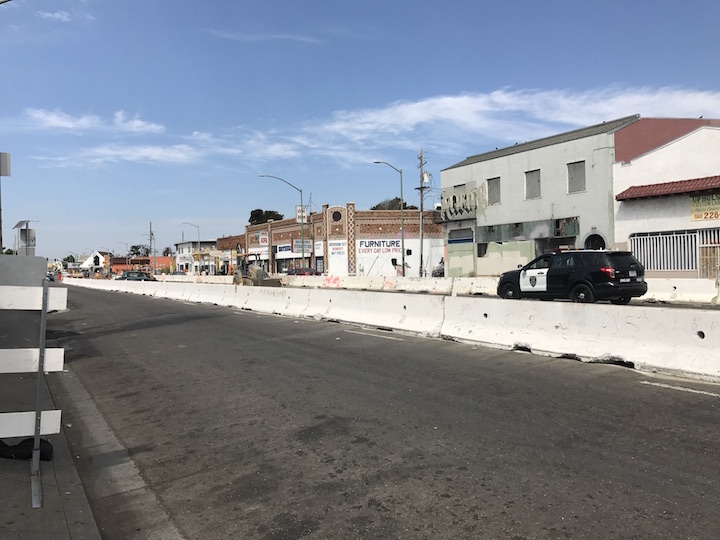 I was down around 88th Avenue and International in East Oakland a couple of weeks ago when I heard a young man ask his friend what was going on with International Boulevard. He was referring to the two full lanes of International blocked off between 85th and 88th or so to accommodate all of that major street construction going on in the middle lanes and the median. The friend was wrong on both counts, but you can’t blame him for being so misinformed about AC Transit’s Bus Rapid Transit (BRT) project. There’s no-one responsible for the International Boulevard street construction that seems to be making any effort to inform him and people like him about the most important and far-reaching public transportation construction project in the East Bay since the building of the Bay Area Rapid Transit (BART) system some 60 years ago. Before I get any further, I want to make a couple of things plain. First, I am a longtime supporter of the Alameda-Contra Costa bus system (AC Transit), and any criticisms I make of that agency are for the purpose of making it better and helping it to succeed. Oakland—the main city where AC Transit operates—is slowly running out of space for the private vehicles citizens and visitors operate on the city’s streets. Making more street space by removing existing buildings along the street right-of-ways is not a practical or desirous solution, nor is slowing, stopping, or reversing the city’s population growth. We’ve got to make do with the people and the space we have. That leaves the improvement and expansion of public transit as the most logical way to keep Oakland and the immediate surrounding cities from devolving into permanent gridlock. BART is made for transportation between cities, not for transportation within cities, and that means the burden for renovating public transportation inside East Bay cities like Oakland falls to systems like AC Transit. Second, I’m not one of those who believes that AC Transit as an agency is indifferent to the needs of Oakland’s low-to-moderate income bus riding population. I stress the words as an agency. Low-to-moderate income folks are AC Transit’s core bus riding constituency, and I’ve seen portions of the agency—such as it’s planning department—do enormous and commendable work in making sure that within the agency’s budget constraints, the route lines that serves that particular population are preserved and strengthened. But that concern for AC Transit’s core low-to-moderate income ridership does not run through the entire agency. AC Transit’s public information department, for example, has been virtually ignoring the agency’s average bus riders in key areas, and that is both a disrespect to the agency’s core constituency as well as an enormous missed opportunity to build up needed support for AC Transit among the folks it most closely serves. And that neglect is most evident in the build-up to the district’s BRT line. AC Transit has been building the infrastructure for it’s new Bus Rapid Transit for many months now. When completed, the line will operate buses in dedicated bus-only lanes down the middle of the International Boulevard/East 14th Street corridor between downtown Oakland and downtown San Leandro. Instead of getting on the bus from stops on the sidewalk and paying when they get on, passengers will board the buses from streetcar-like stations set in the International Boulevard median, where there will be machines available for them to buy bus tickets or upgrade their Clipper cards. Up until recently, the BRT infrastructure work involved such things as laying down new underground electricity lines, putting up new traffic and pedestrian lights, and building out sidewalks and curbs along the BRT right-of-way. But if you happen to be on AC Transit’s general mailing list, you would have learned by email late in August that construction was set to begin on the BRT station in the International Boulevard between 71st and 73rd avenues, and from another email in early September that work would also soon begin on median reconstruction between 85th and 90th avenues. 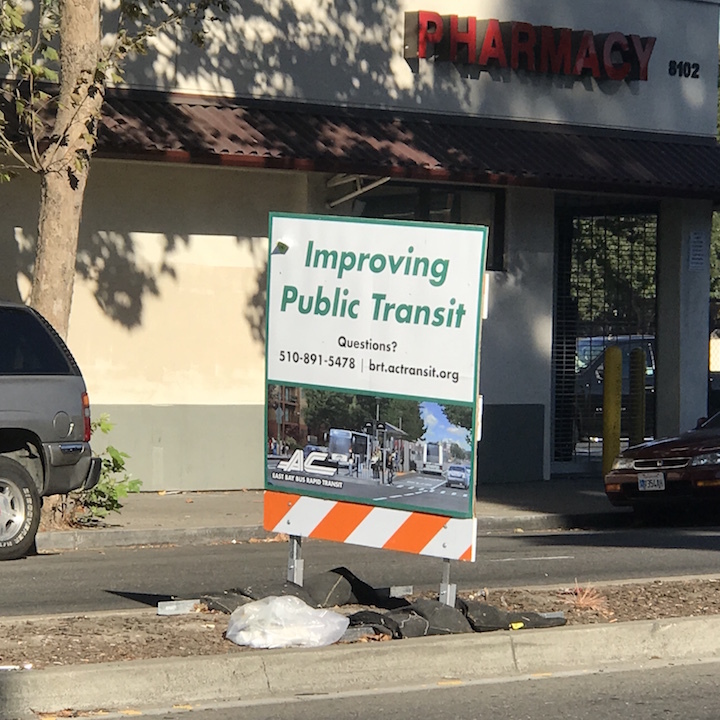 And sure enough, within a few days, construction workers contracted by AC Transit laid down concrete barriers blocking off the two middle lanes of International Boulevard at those two locations, and digging up the street and median in preparation for installing the stations began shortly afterwards. AC Transit’s public information department made sure its email subscribers or website visitors knew about the median construction. But if you were a rider on AC Transit’s #1 line that BRT will soon replace, or if you were someone who simply shops or hangs out on International or travels the boulevard by car between Hegenberger and the San Leandro border, the chances are you have absolutely no idea what the hell is going on in the middle of International, or that this major construction has anything to do with riding the bus. And that, my friends, is an unforgiveable oversight by AC Transit’s public relations department. It’s not that AC Transit hasn’t tried to inform their core rider constituency or the communities through which BRT is scheduled to operate. It’s that the district hasn’t tried very enthusiastically, or tried very well. In previous columns, I talked about how AC Transit revealed how many “community meetings” they’d held or attended to explain the BRT project. The problem is, most bus riders and neighborhood residents don’t know about those meetings, and wouldn’t attend them if they did. The burden, then, is for AC Transit to affirmatively get the message out to bus riders and residents where they ride and congregate. The district has tried but, again, not very effectively. In recent weeks, AC Transit has begun posting maps of the BRT route inside buses on the 1 line, which BRT will replace. The problem? They’re just maps, with nothing to explain to the riding public what they mean, or how they relate to the major street construction going on just outside the bus windows, or to the major changes that will soon be happening to the bus riding experience of the riders themselves. Meanwhile, AC Transit has also put up signs in the middle of International Boulevard—for what it’s worth—at the sites of the station constructions at 72nd Avenue and between 85th and 90th. 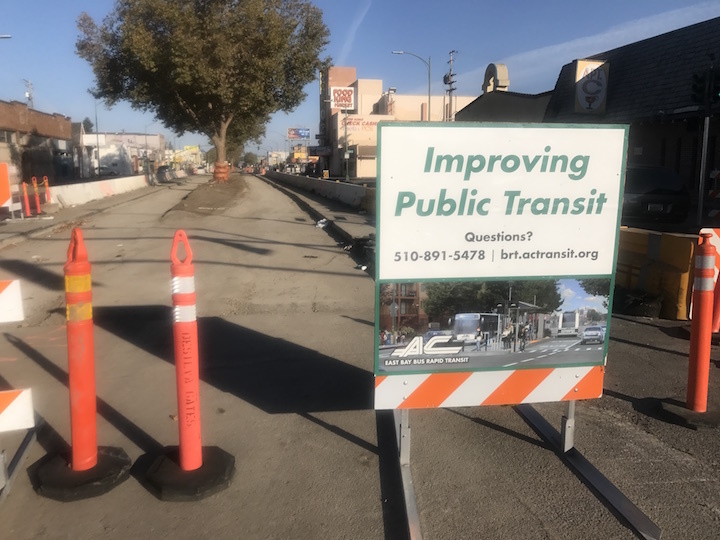 First, the signs are those standard “your tax money at work” jobs with the AC Transit logo and Bus Rapid Transit spelled out and little else, certainly no indication to the general public of what the street construction actually means. Second, the signs are pointing so that they are visible by people in vehicles along International—the people who are less likely to be BRT’s first customers—but not to International Boulevard pedestrians or folks waiting at the AC Transit bus stops or people actually riding the 1 line buses—the people who are certainly more likely to be the BRT’s first customers. Early in the BRT development process, I saw mock-ups of the proposed center-of-the-street stations. From all indications, they were well-designed, decorated with the art of local artists, and will be a an asset to the sometimes-dreary view along the International Boulevard corridor. How hard would it be to put up signs at the station sites showing what those stations will look like, and bringing BRT’s potential core riders in as partners to the process? The district recently put up signs in the middle of the street at the corner of 90th and International and between 81st and 82nd with a picture of one of the proposed stations on it. But the signs are oriented towards motorists, and the picture is so small that drivers and passengers have no time to view and comprehend its meaning, even if they were inclined to do so. The text accompanying the twi signs are no help. It reads “Improving Public Transit” in bold green letters and then, below it, in smaller letters “Questions?” Below that is a number for questioners to call, and the BRT website address. Does anyone at AC Transit imagine that anyone in a passing car —the ones for whom the signs are targeted—will immediately pull out their smartphone and either call the AC Transit number or pull up the website? One thing is certain, you can bet on it that when the BRT stations are finished, a crowd of politicians and AC Transit officials will flock to the dedication ceremonies, thump their chests, and talk about how much they have done and are doing for the surrounding communities. But by then, a chance to build a partnership between BRT and AC Transit’s current loyal bus riders, and with the residents of the neighborhoods through which BRT will run, will be lost. Maybe the folks at AC Transit don’t think such a partnership is needed and like Kevin Costner’s field of dreams, all they have to do is build it, and the East Oakland flatlands folks will have to come. They’ll come, yes. But they’ll treat BRT as something that was done for them, and not by them, not something that belongs to them. And when future support for AC Transit is needed from the district’s core riders, that will make all the difference in the world, and that will be a setback for all of us. 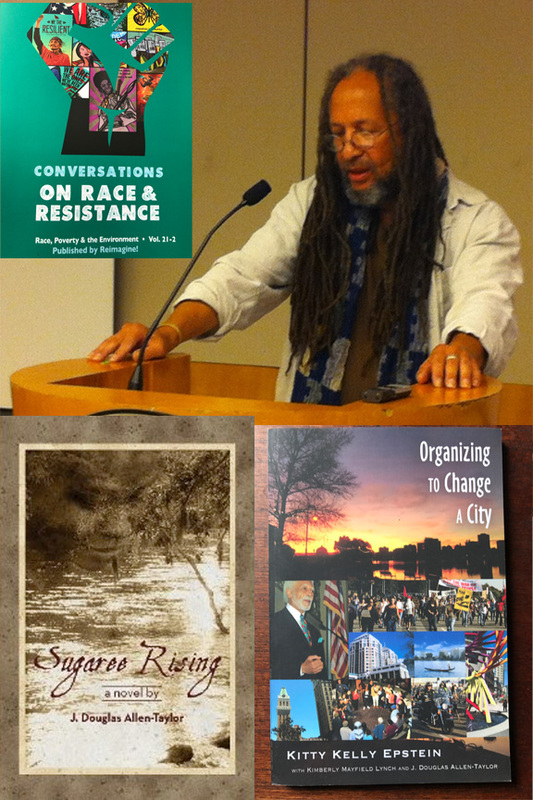 It’s not too late for AC Transit to reverse this situation. But time is rapidly running out.